The next ice coming to Europe might look something like the last ice age shown in this simulation. A time when Venice will be top of a long paddock that stretches to Albania. In school children are taught to hyperventilate about the last 30m retreat of glaciers that never stayed put ever. 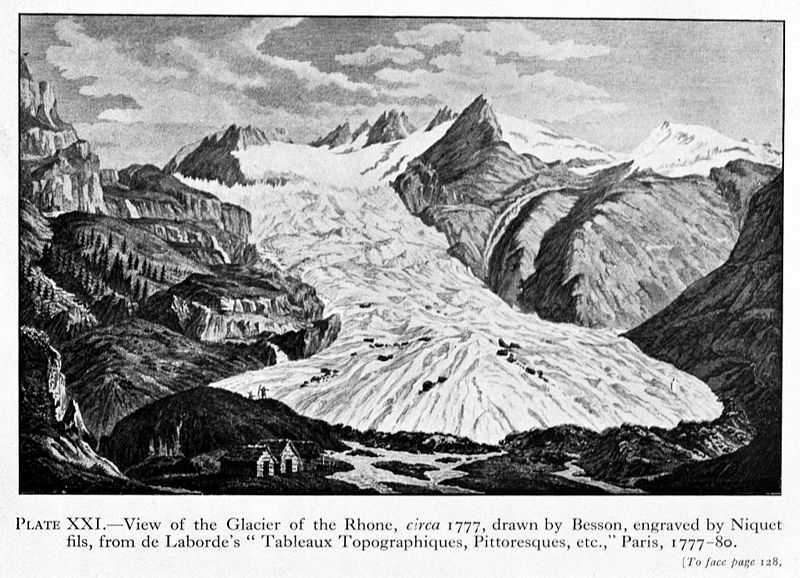 At the 24,000 year BC point glaciers have wiped out Zurich, Bern, Geneva. Image the effect on people if this were shown everytime a Swiss Alps disaster story was run? Advance and retreat of the Alpine glaciers during the last glacial cycle from Julien Seguinot on Vimeo. About 25000 years ago, Alpine Glaciers filled most of the valleys and even extended onto the plains. Using a computer model that contains knowledge on glacier physics based on modern observations of Greenland and Antarctica and laboratory experiments on ice, help from traces left by glaciers on the landscape, and one of the fastest computers in the world, this animation is an attempt to reconstruct of the evolution of Alpine Glaciers in time from 120000 years ago to today. Glacier recession has led to an upward migration of Alpine plants at a rate of 0.5 – 4 m per decade. In the long run, lowland plants will displace Alpine species to ever-higher altitudes until they simply have nowhere to go at all, effectively forcing them into extinction. And other people are putting blankets on glaciers in summer to stop them melting. But one day, sometime, they will come back. Then what? 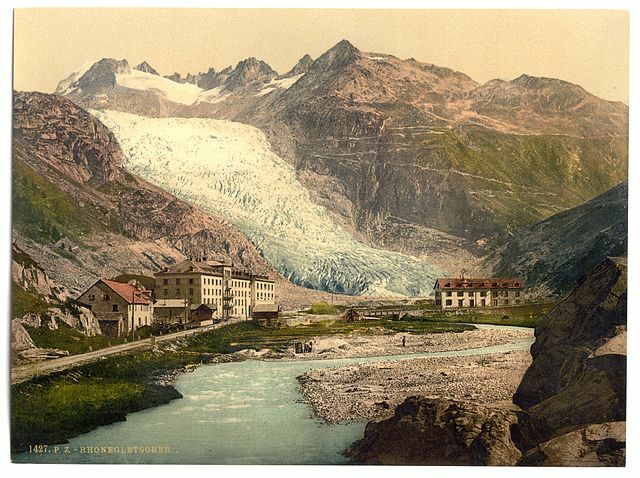 The Rhone Glacier, Glacier hotel and Furka Road, Valais, Switzerland. Circa 1890 – 1900. J. Seguinot, S. Ivy-Ochs, G. Jouvet, M. Huss, M. Funk, and F. Preusser. Modelling last glacial cycle ice dynamics in the Alps, *The Cryosphere*, 12, 3265-3285, https://doi.org/10.5194/tc-12-3265-2018, 2018.